This is a softcover book with 192 pages. 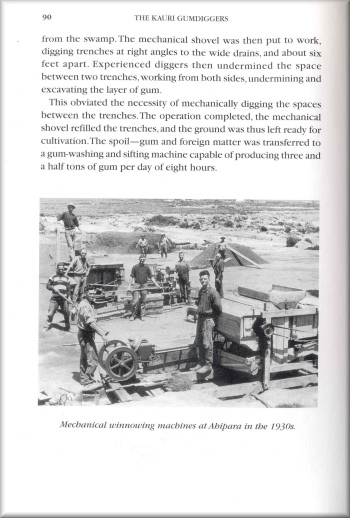 The book is 8 x 6 inches and loaded with history. 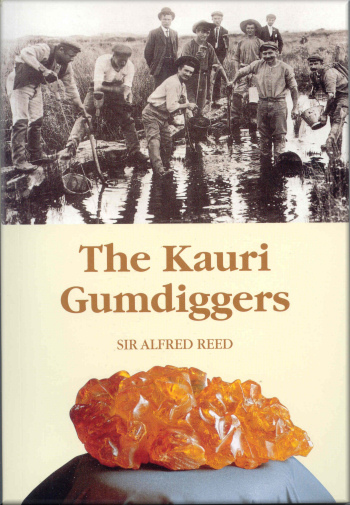 This is the third publishing of The Kauri Gumdiggers, by the Bush Press. There are 15 chapters with 3 appendixes. 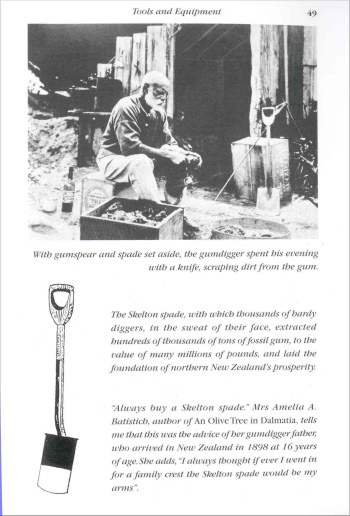 This is about as good as it gets for a written history of gum digging. 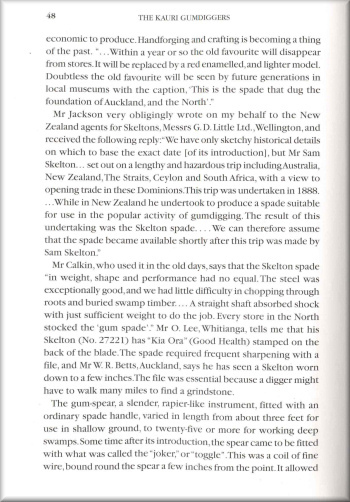 This is published in New Zealand. It is a delightful book and very informative. This is a very difficult book to get a hold of. You will be lucky to find it for sale anywhere (but of course here). This book is shipped "media mail".